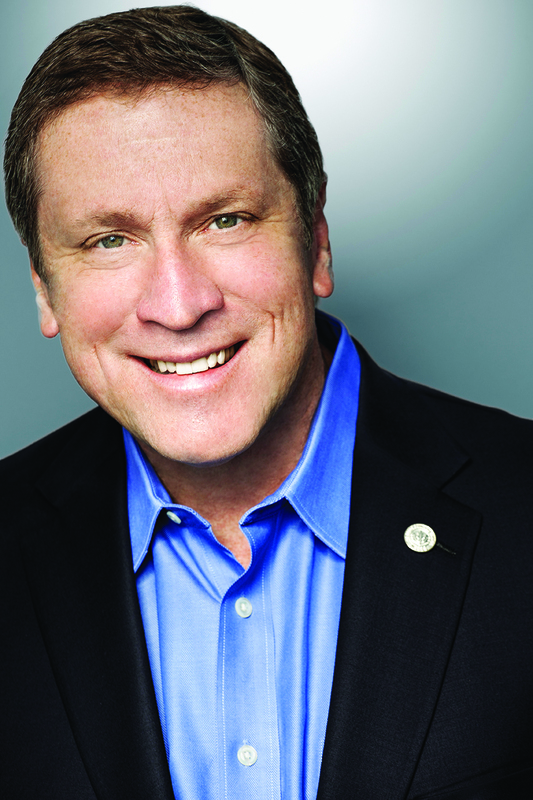 Rick Fedrizzi is the CEO and founding chairman of the U.S. Green Building Council (USGBC) and CEO of the Green Business Certification Institute (GBCI). He talks about changes in sustainable building, sustainability reporting and transparency, and the USGBC’s Leadership in Energy & Environmental Design (LEED) program, which is widely considered the standard for environmentally friendly building. REIT: You’ve been CEO of USGBC since its beginning in 1993. Can you give us an idea of how you’ve seen attitudes toward green building evolve in the last two years? RICK FEDRIZZI: In the past two years, we’ve clearly made the shift from “why” to “how.” Green buildings are proven to save energy, water, precious resources and money; reduce waste and carbon emissions; and improve indoor environmental quality. With those benefits as a baseline, at least for new construction, we’re at the top of the adoption curve. The challenge now is to get people to go as far as they can versus doing the least amount they can get away with. What’s more interesting to me, however, is the tremendous wave of support that’s been generated around human health and wellness as it relates to how people interact with the built environment. There’s been a tremendous upsurge in interest in things like active design that promotes more exercise; green walls and roofs that provide visual and sometimes even physical access to green space; circadian rhythm lighting; and maybe most importantly a push for information about what’s in the building materials, furniture, finishes and fixtures that we use every day. REIT: In real estate today, sustainability programs are more about optics than operating performance. True or false? FEDRIZZI: It’s not either/or. It’s both/and. Most sustainability initiatives have to have some kind of bottom- line impact, or they won’t be a long-term option. But just saying you are doing “green things” when you aren’t really — in other words greenwashing — is getting harder to do. You have to prove you’re not just saying the right things, [but] you are actually doing them, and that’s why third-party certification is becoming a critical indicator of your commitment and validator of your success. REIT: Are there any emerging areas of sustainable building or operations that you think deserve greater attention from the real estate industry? Where should we expect to see the next breakthroughs? FEDRIZZI: If we can make the invisible actionable, we can drive performance improvement. That’s what’s behind our launch last year of the LEED Dynamic Plaque. The LEED Dynamic Plaque complements LEED by measuring a building’s ongoing performance in five categories: energy, water, waste, transportation and human experience. The rise of integrated automated controls and the big data they aggregate is another big advancement in our space. Deep asset data aggregated across an entire portfolio will help owners develop longterm strategies for the continuous improvement of their portfolios. A third area of excitement for me is the development of the smart grid and its energy-agnostic platform, which will allow faster deployment of micro-grids, enhanced development of renewables, and a more nuanced way to balance the energy supply mix for both energy efficiency improvements and bottom-line savings for owners and operators. REIT: What about sustainability reporting requirements? Are they adequate? Are there any gaps that you think need to be filled in? FEDRIZZI: While we support the aspirations of reporting, we also recognize that firms face a complicated landscape of tools and frameworks. Several years ago stakeholders in the real estate industry recognized limitations in current tools, including the absence of guidance tailored to the details of the real estate industry and lack of systematic tools for scoring and benchmarking. The Global Real Estate Sustainability Benchmark (GRESB) fills this niche with a unique combination of portfolio-based scoring and industry benchmarking. (GBCI acquired GRESB in 2014.) It covers hundreds of funds, including both public companies and private equity. It aligns with widely used criteria from GRI and CDP, while tailoring criteria to the idiosyncrasies of the property markets. Th e result is a flexible global benchmark that fits nicely into the ecosystem of corporate sustainability reporting.